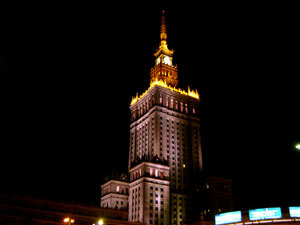 Since 1596 Warsaw is a Capital City of Poland, located at the central part of country. It is the biggest and most populated Polish city with 1.7 million officialy registered citizens. Distance from Warsaw to Krakow is about 300 kilometers (190 miles). What is interesting, these two biggest Polish cities are connected with the longest river in Poland, Vistula (in Polish Wisla) with length of 1047 kilometers. Our transefers are private and door-to-door so your English speaking chauffeur will pick you up wherever you wish both in Warsaw as well as in Krakow. If you wish pick up at busy place like railway station or Warsaw Airport WAW in Okecie please enclose in your booking or contact request name or password you'd like to see on the sign board, your driver will be holding at agreed spot. We use spacious 9 seater (8 passegners and driver) minivans with big trunks that can accommodate with ease all luggages plus wheel chairs or another items if needed. 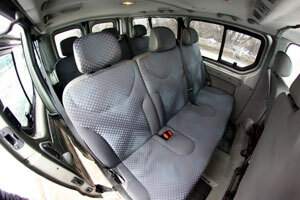 For Client request we provide child seat(s) with no extra costs. For 2-3 passengers we dispatch executive sedan car. Please let us know about number and size of your baggage. Payment should be done on the day in cash (Polish Zlotys - PLN). Journey lasts from 3 to 4 hours depending on traffic conditions. To check current prices please go HERE. Our prices are fixed. The same for Warsaw Airport and all hotels in Warsaw. - if you wish to book a transfer from Warsaw to Krakow please let us know at least 12 hours before. - if you're planning to visit Czestochowa or Auschwitz please consider to do this on the way between Warsaw and Krakow. In that way you can safe lots of money and time plus make your journey more interesting. Please don't hesitate to contact us if you're interested in that option. 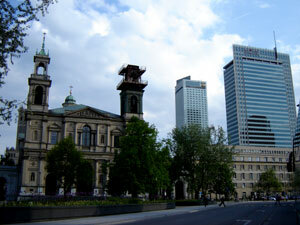 - our company has base in Krakow so we don't offer taxi transfers services within area of Warsaw.